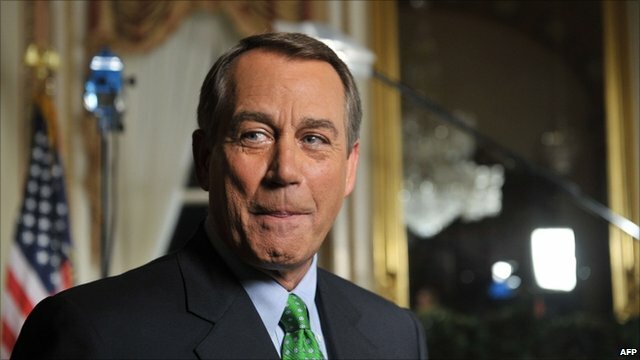 Boehner 'stuck neck out' to get debt deal Jump to media player House of Representatives Speaker John Boehner has made a passionate speech calling for Congress to approve a Republican bill on US debt. Will US reach deal over debt in time? Jump to media player In the United States there is still no deal on raising the country's borrowing limit with Tuesday's deadline looming. 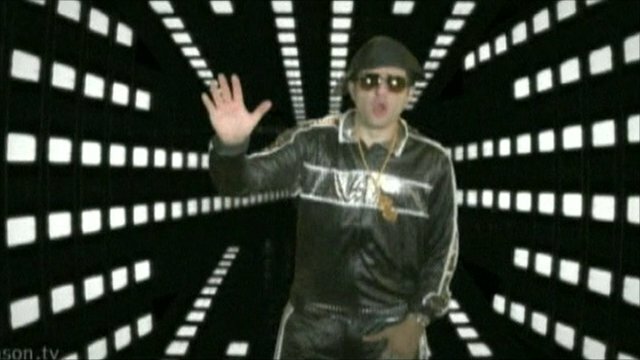 US debt rapper goes viral Jump to media player As Democrats and Republicans put forward rival plans for raising the national borrowing limit of the US, a rapping comedian's message to the politicians has gone viral on the internet. US set for key House debt vote Jump to media player A Republican bill to raise the US debt limit and avert default on the country's debt is set for back-to-back votes in the House and Senate. 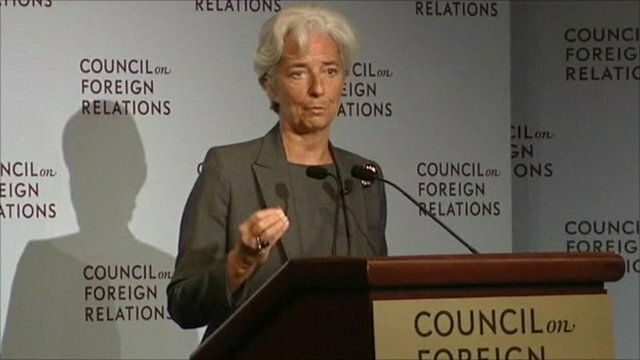 'Clock is ticking' on US debt Jump to media player IMF boss Christine Lagarde has urged the United States to resolve its $14.3tn debt crisis. 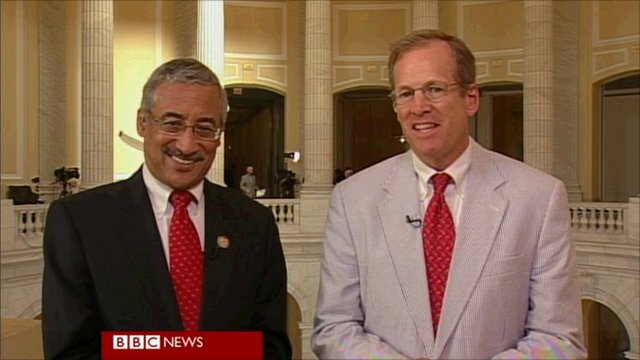 Rival congressmen on debt talks Jump to media player Rival US congressmen speak to the BBC about whether President Barack Obama and lawmakers will reach a deal on raising the nation's debt ceiling. 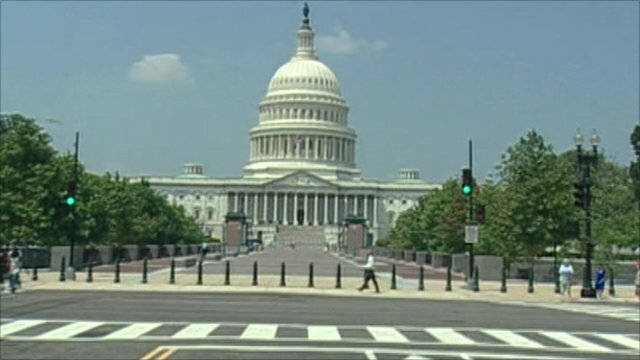 Republicans postpone debt vote Jump to media player Republican leaders in the US Congress have delayed a crucial vote on their proposal to avoid a default on America's debt. 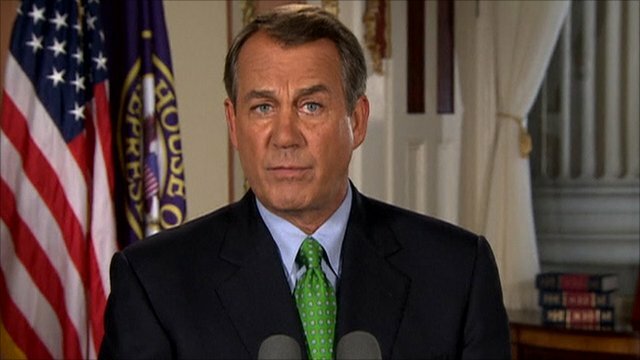 'Obama wants a blank cheque' Jump to media player Republican House Speaker, John Boehner, speaks on US TV after President Obama blamed conservative Republicans for failure to reach a deal to raise the debt ceiling. 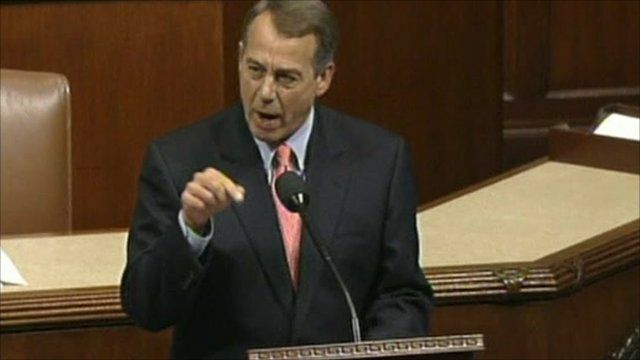 House of Representatives Speaker John Boehner has made a passionate speech calling for Congress to approve a Republican bill on US debt. Ahead of the vote - which saw the bill pass by 218-210 - Mr Boehner said he had tried to reach a deal by offering ideas but claimed all the administration had done was ''criticise what I put out there''. He said it was time for the Obama administration to put a deal on the table. 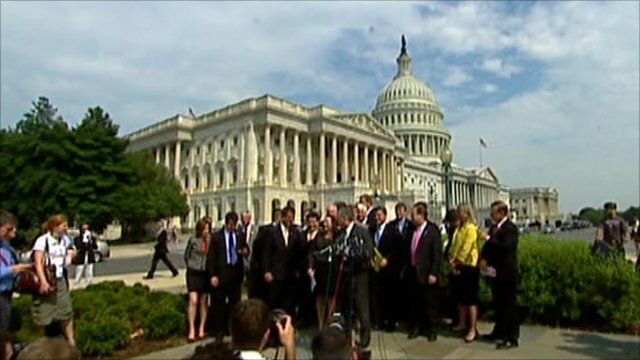 Go to next video: Will US reach deal over debt in time?